"When we woke up this morning, it started to snow. Looking outside we saw that there was a thin white blanked left from yesterday, which had fallen over the city. 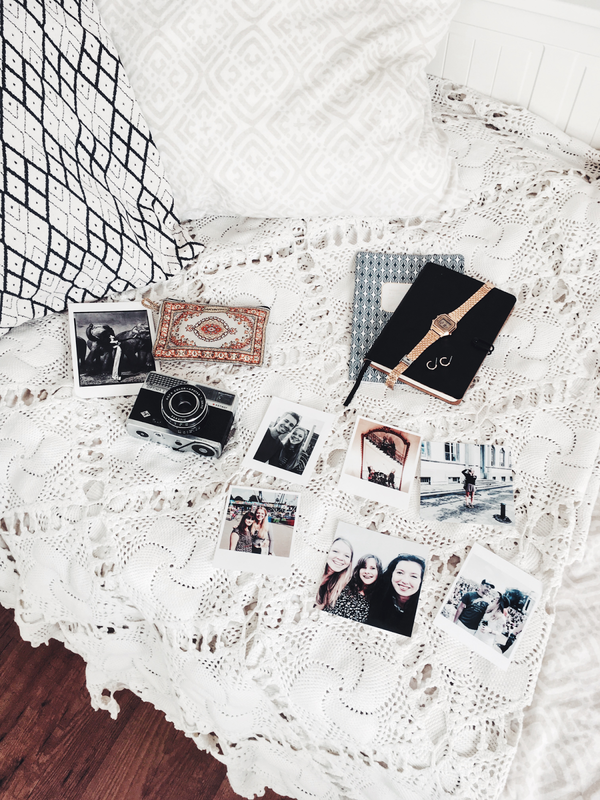 We stayed in bed while we were awake already and watched the snow fall from under our warm white crispy sheets. Easy like a Sunday morning. By the time we got out and decided to go out for breakfast the snowflakes became bigger and there were many more flakes falling down. 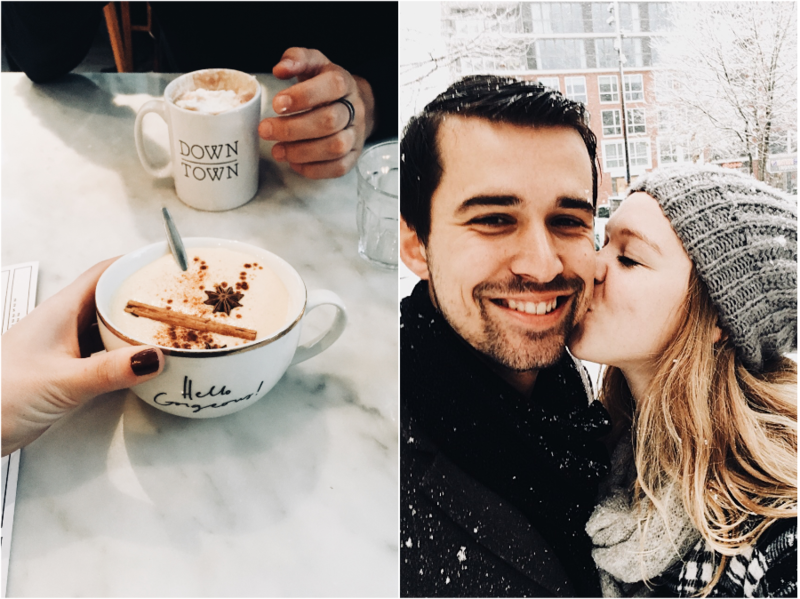 Wrapped in our Winter coats and knitted scarfs we walked to Down Town through an upcoming Winter wonderland. We mostly had to held our heads down so the snow didn't got in our eyes. But it was fun walking through a fresh white city. " "Luckily there was a free table at Down Town. We go there a lot lately, for breakfast, brunch or lunch on Sundays. It has become our favourite spot in the city. Inside it was very cosy, the perfect place to warm up and for a first cup of coffee to start the day. Paul enjoyed his Sloppy Joe and I went for the home made Peanutbutter Toast this time, with banana, coconut and almond on top. 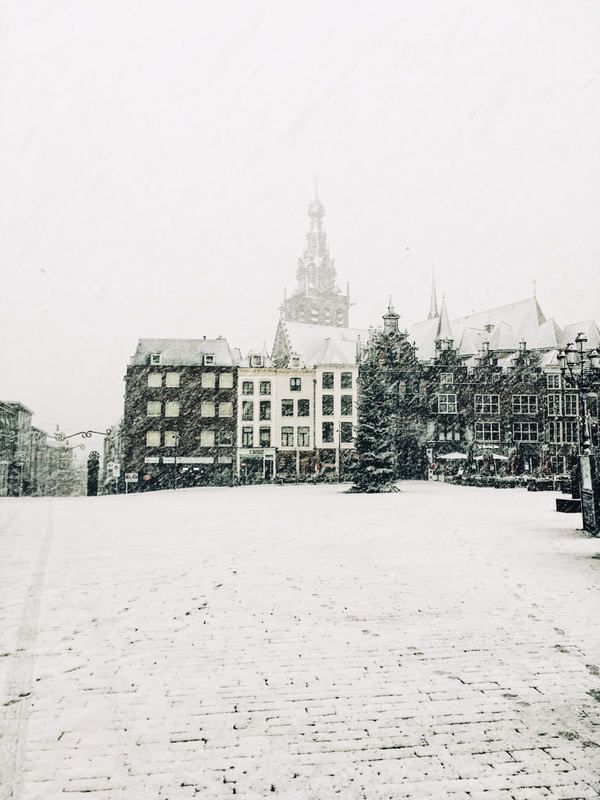 Because of the warmth inside the windows were fogged, so we couldn't see how fast the snow was falling." "When we went outside again our steps left deep prints in the snow. 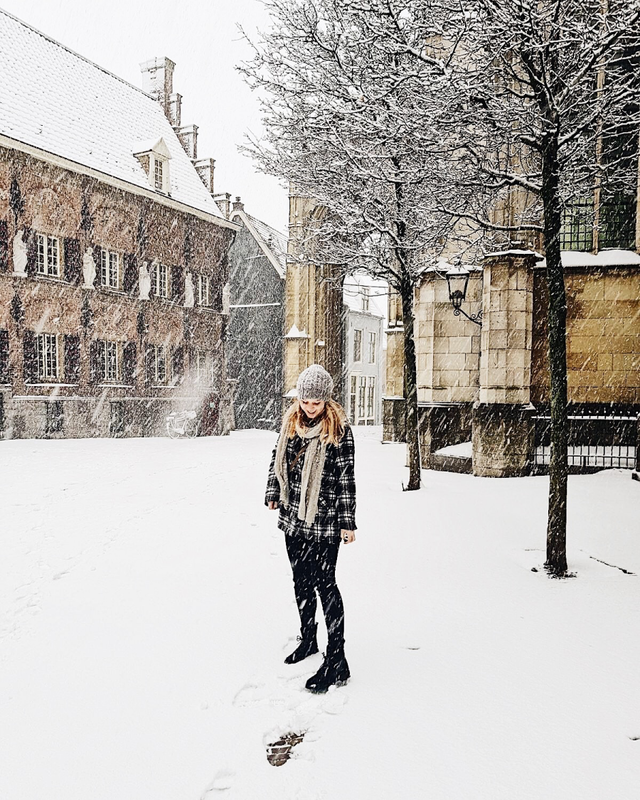 A new thick white blanked of snow covered the streets and the rest of Nijmegen. We took a walk through the white city, did a little shopping and threw some snow balls at each other. Now we're back home, sitting on the new couch, warming up, watching some tv and later on we'll make some veggie soup for dinner. We had an easy and lovely Sunday. The snow made everything a lot more fun. And a lot more pretty ofcourse. Easy like a Sunday (morning)." "At the moment Anna and I found ourselves in another place, another world. We can't believe we found this beautiful place, just half an hour from Nijmegen. It feels like we are in Thailand, Bali or Marokko. Though it feels like we are far, far away, we are only a few miles away from the city. 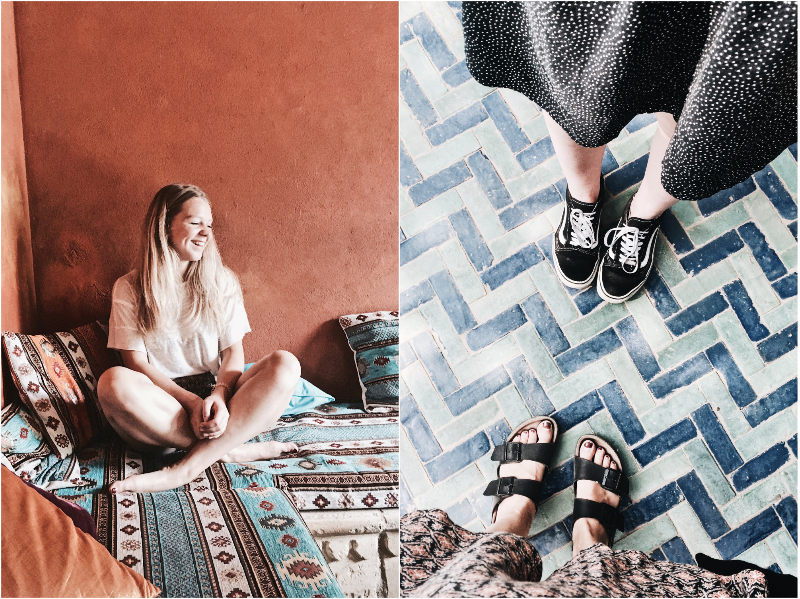 We sit in a little porch with terra cotta walls, little lights, endless plants and pretty printed pillows. In front of us there is a blue tiled floor with water in the middle, the sound of the little fountain is very, very calming. We enjoy some lemon juice and Turkish bread with pesto and green olives to the sound of the water and the bees. It's a perfect day." 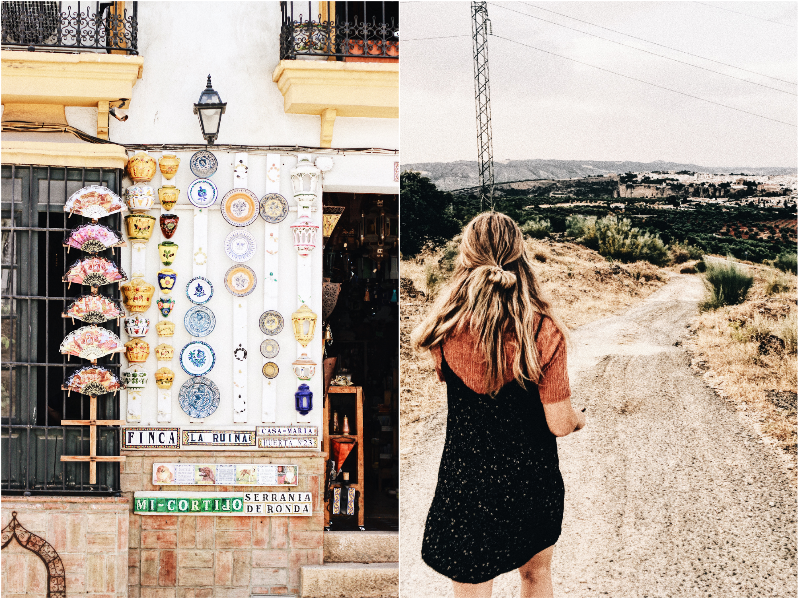 Welcome to the last stop of our (Paul and me) journey through Andalusia, and also the last post of this travel series: Ronda. 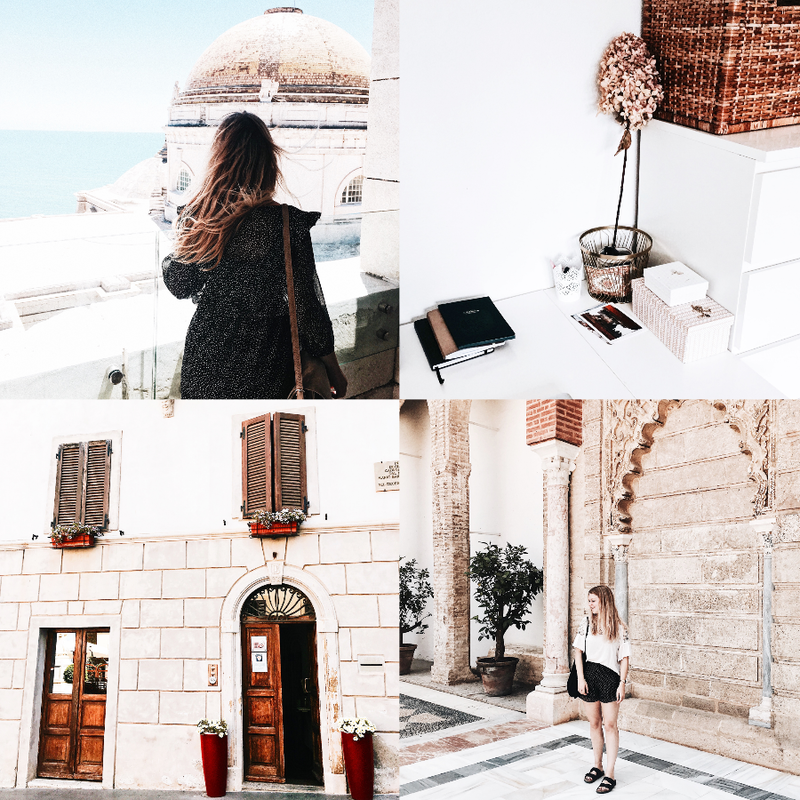 I know that it has been Autumn for a few days now, but I still wanted to finish this Andalusia travel posts/series. Reading my travel diary and looking back at all the photographs from Spain made me relive our holiday from this Summer. After this post I guess my blog will be filled with some brand new and current things. 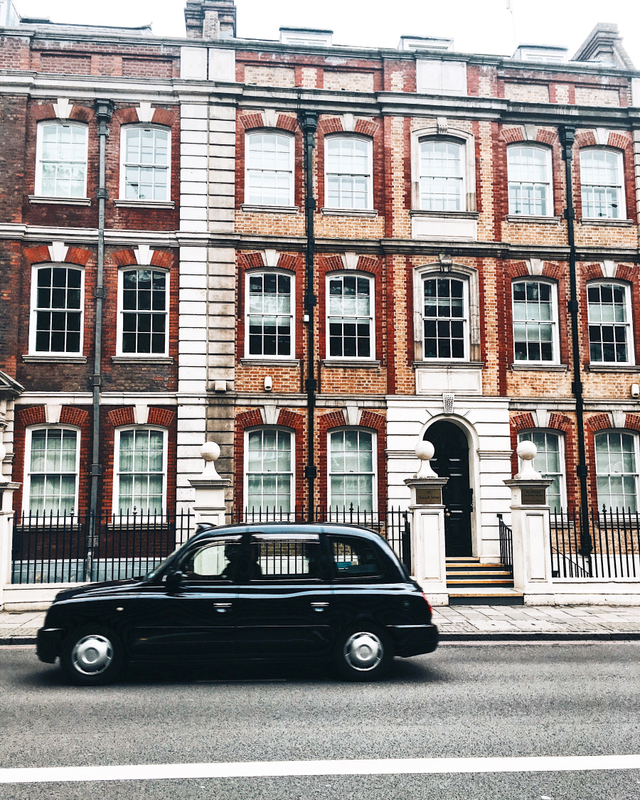 I found some new vintage items, I've been to London and other lovely locations, which all will be on the blog the up coming weeks. For now the last part of our Andalusia trip, filled with memories from beautiful Ronda. "We're in the train again, leaving Seville for Cádiz. Yesterday we've had a final stroll through the tiny pretty streets of Seville, which was a lot of fun. Now we're passing by sunflower fiels and again endless fields of olive trees. 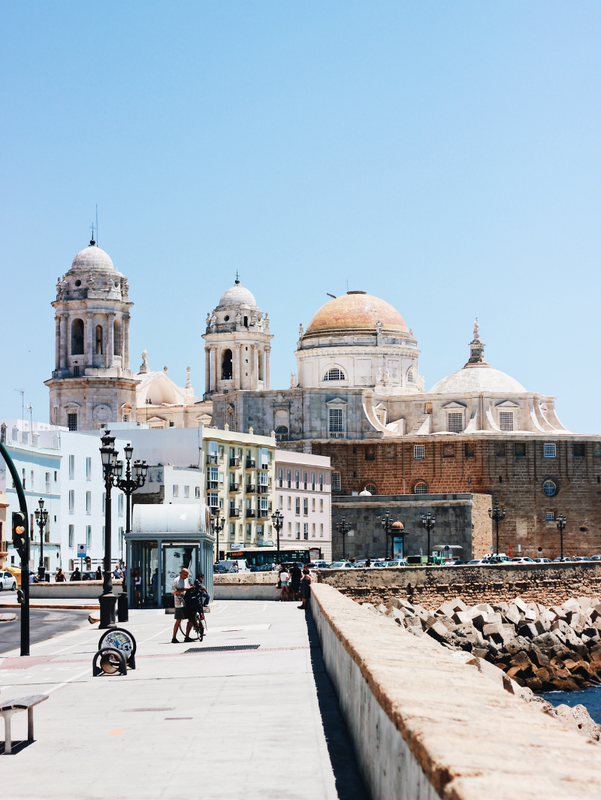 I'm very exited to explore Cádiz, my dad told me he always wanted to go there and name a band after this city. It's also the most south located city in Europe and there are lots of Moorish influences there, which I really love, I can't wait for the train to arrive it's destination." Good morning! I thought it was about time for another outfit post. I haven't posted one in a while and thought I'd give it a try again. 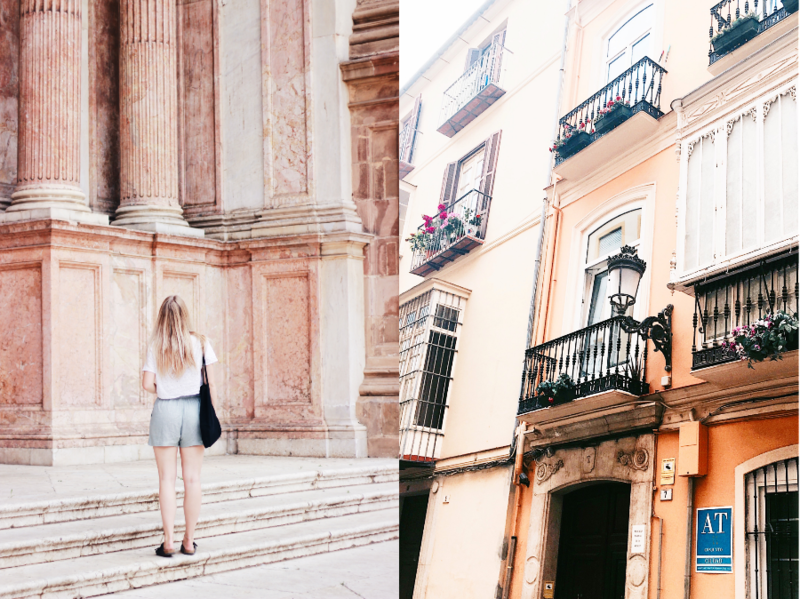 Took these photos when Paul and I were still in Andalusia and I'm in love with the colours of these photographs. They were shot in front of Málaga's Cathedral, which was such a beautiful shoot location. 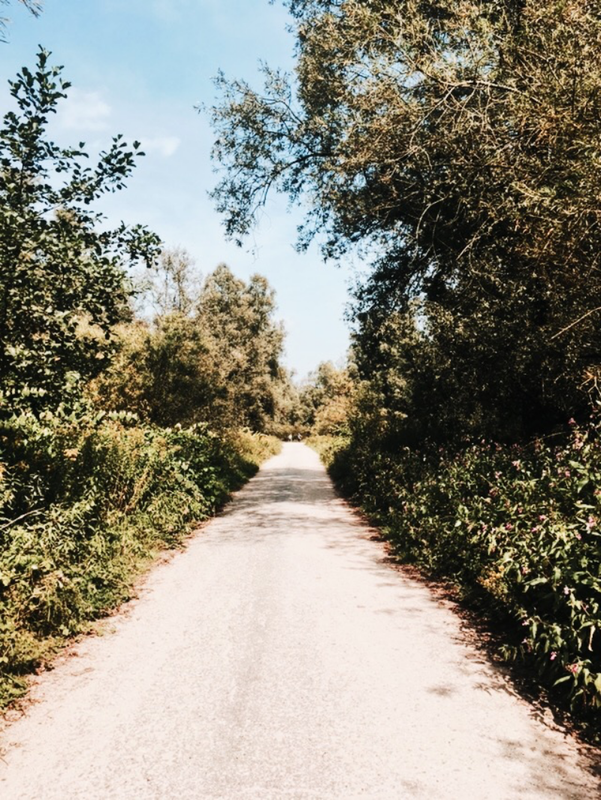 "Olà, at the moment we're in the train from Málaga to Sevilla, the train rages through the mountains and later on across rusty red plains of nature and endless fields of olive trees. 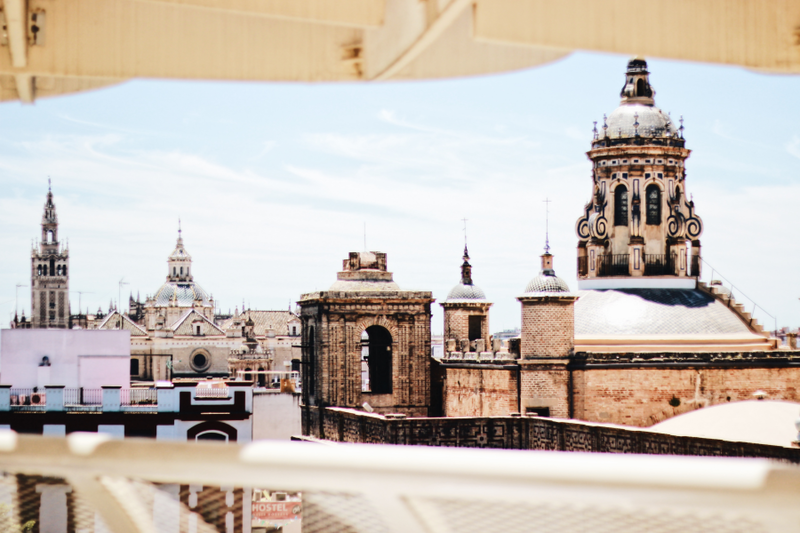 Within the hour we'll be arriving in the next Spanish city with a hotel that has a swimming pool on the roof, can't wait to jump in the water and I'm very curious about the view." Here, finally, is the next travel post from this Summer. I think Sevilla is one of my favourites and after Ronda definitely the most beautiful one. 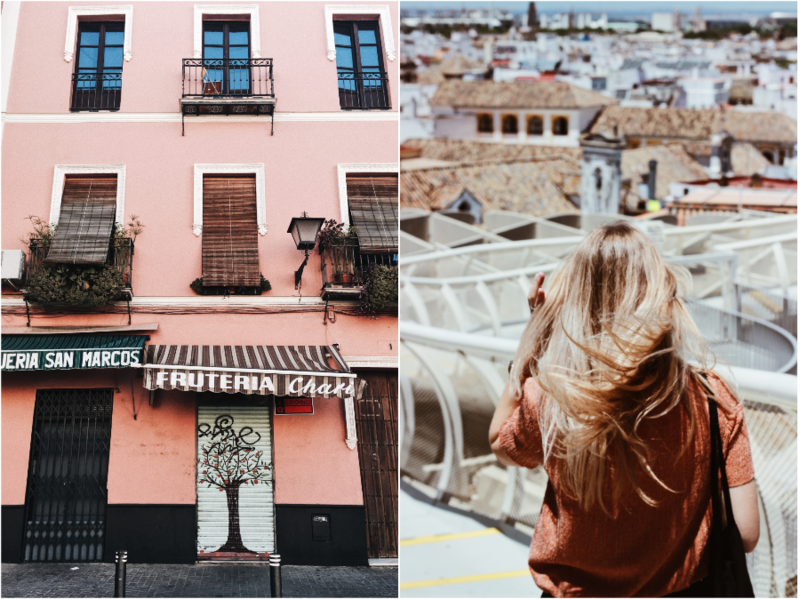 This post is (again, oops) filled with pretty coloured houses (I just love those), and everything else we saw and came across in Sevilla. Prepare for lots of travel photographs. A few weeks ago I wrote the first post about my trip to Lisbon, including 20 photos of that lovely pretty city. Ofcourse I took a lot more than 20 photographs and I also really wanted to share this selection and especially the first photograph. I'm in love with that one and the way you see Marlou look over the city, this must be my favourite photo of our trip. But I've took some more, click continue to see the other places we've visited. Time for another outfit post! It has been a while since my last outfit post but I'm glad to finally share this look. I also have some other blog posts in my mind, so there are some nice new things coming up. 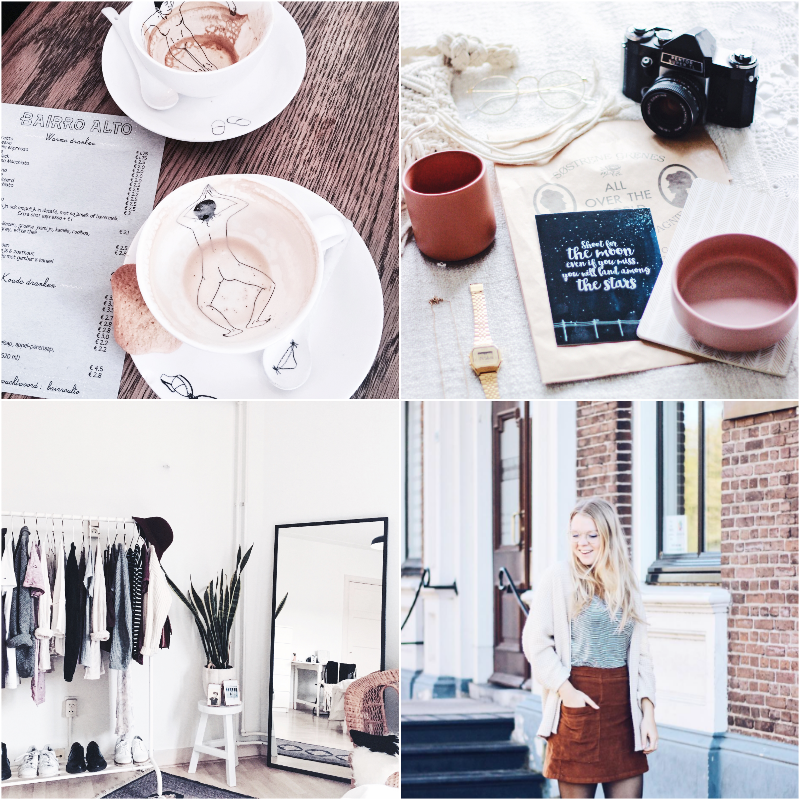 A few days ago Willemijn and I went to this pretty place in Nijmegen to shoot some photographs. I've had these pants lying in my closet for some time now, and it was about time to share them upon here. Almost three months ago I moved to Nijmegen together with Paul, which is not so long ago. Yet these rooms, our new place, feels like a home already. Since the start I was eager to finish the interior for a blog post about it. Here in Holland we say: "a home is never finished", and I must say that is true. Our living room and also our bedroom will never be completely done, since you can always add or change things. 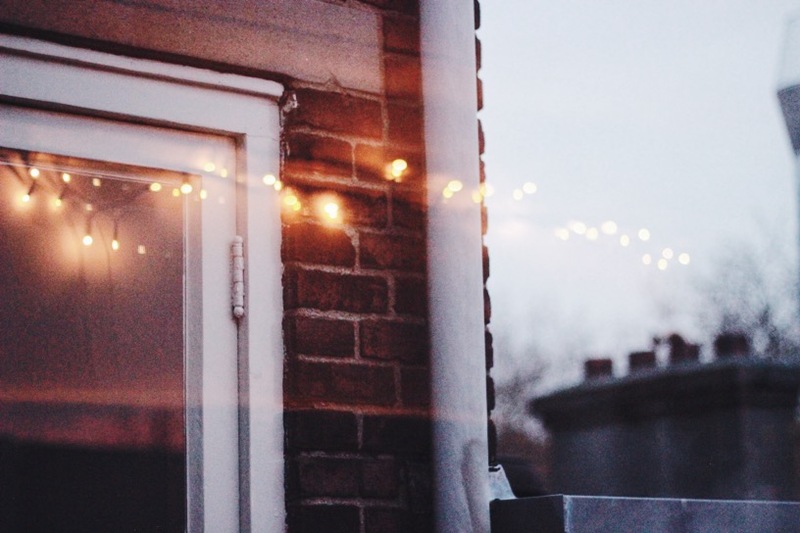 That is a nice thing about a home, or your own home, you can always change it the way you want to. 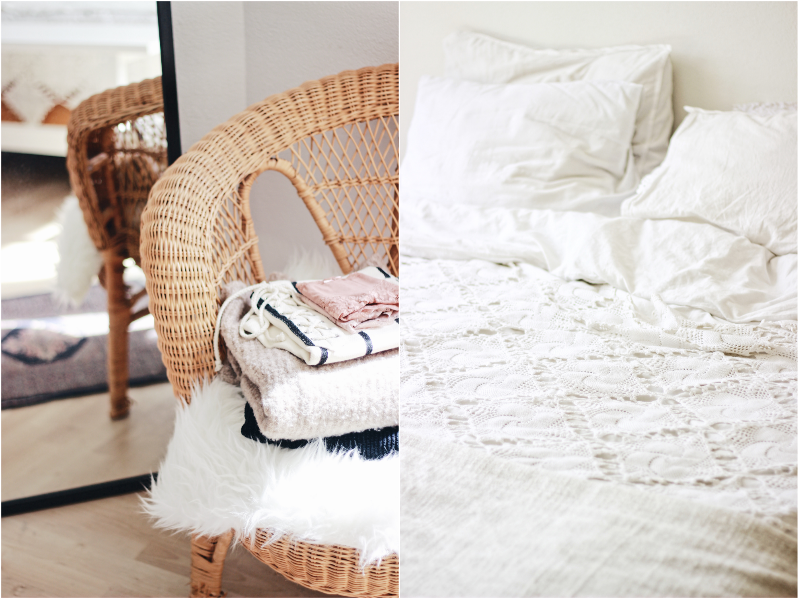 For this "interior" post I photographed our bedroom, the way it looks right now. It was Autumn when Janne came to me with a very nice thing/opportunity. 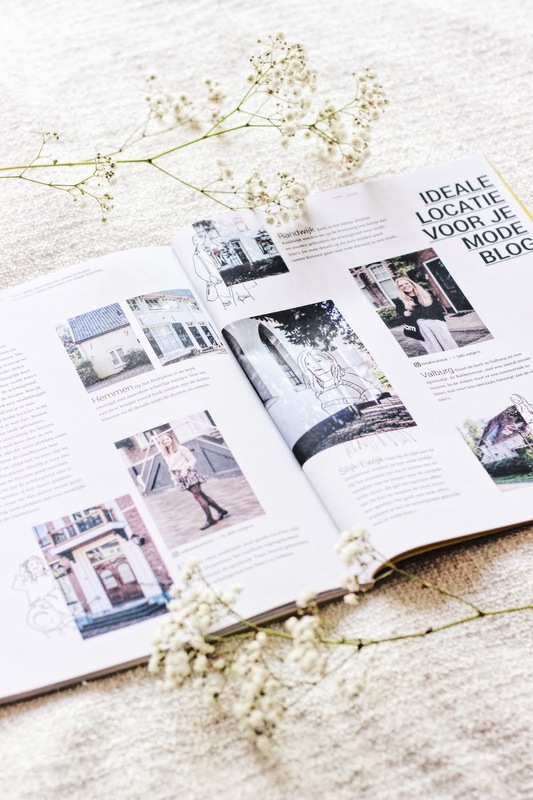 She was asked to create an article for this new upcoming & local magazine, and she was asked if she knew other 'bloggers' based or origined around our home town. I'm still so happy Janne came to me to ask if I wanted to join. It led to my very first article in a (real) magazine! 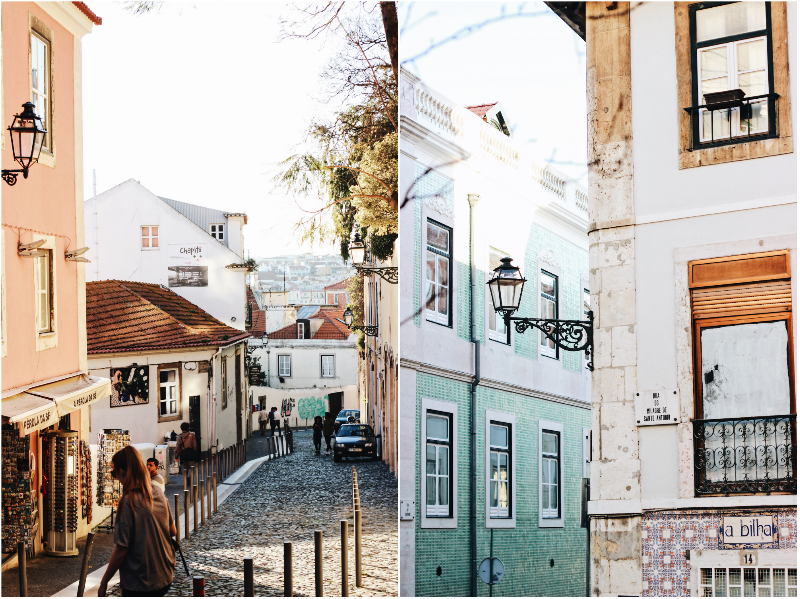 Our time in Lisbon has been long gone already, though when looking at these photos I feel like my feet are on the ground in that capital city again. 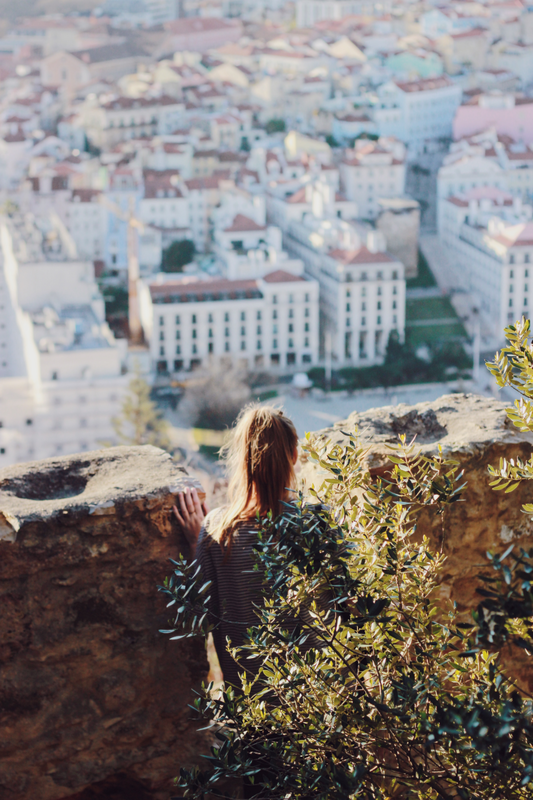 Marlou and I went to Lisbon (and Portugal) for the first time and the city has become a new favourite. 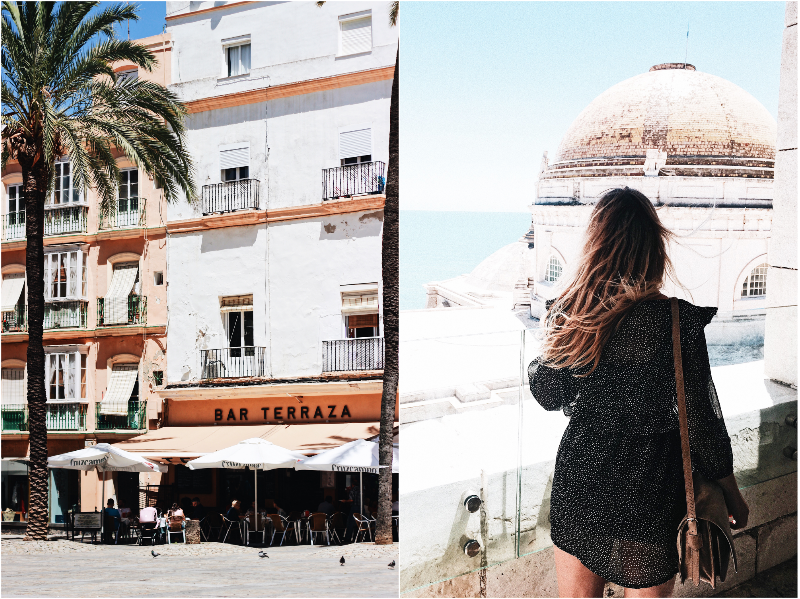 We fell in love with the coloured and tiled houses with pretty lanterns, the view points you come across on every corner, with the sun and a lot more. I am planning to to back to Portugal this summer to explore more of this pretty country. For now a small selection of the many, many photographs I took there. It is more than five months ago since the last 'Lovely Locations'. 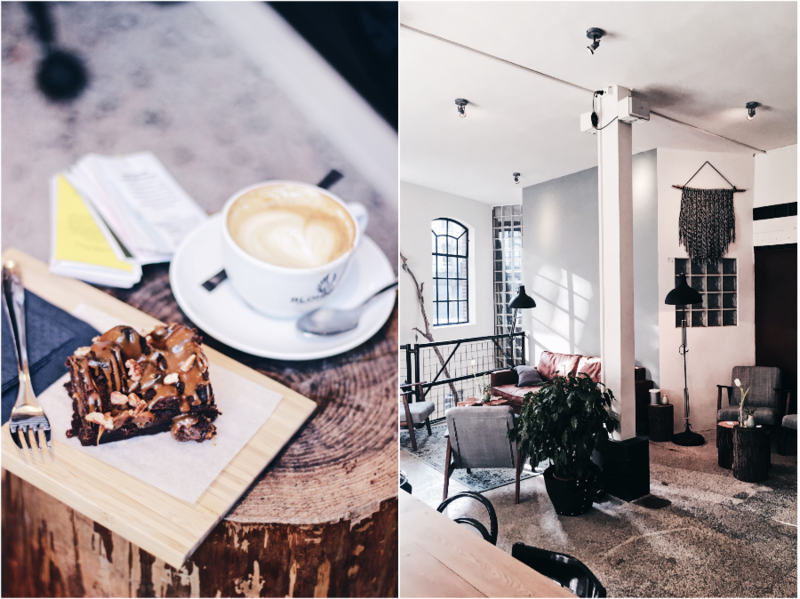 Two weeks ago I went to a new cafe in town and took my camera out again. It felt a bit strange taking photos somewhere again, but I love how they turned out. Last week I visited OPEN Slowcafe for the second time. It is a new place for coffee, cake and to catch up. They bring some peace in this stress society, and create a setting where you can be at ease (& where the interior looks really, really nice). Good morning, currently I'm in the train to school again. It's the second week of my specialisation and I must say I really like it so far. Yesterday I met up with Willemijn to catch up and to shoot some new outfit photos. 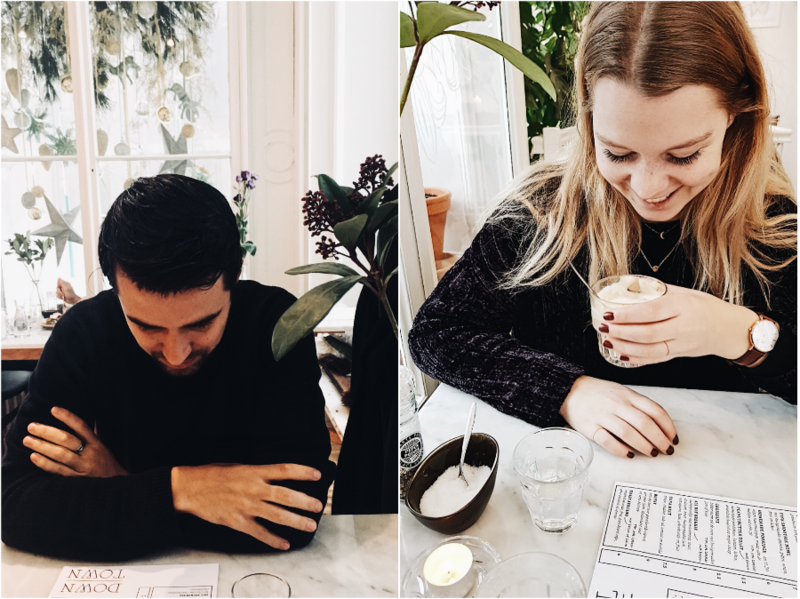 We strolled through the streets of Nijmegen, had some coffee at a new cafe in the most cosy street and just had a good time. Inbetween the coffee and our walk she took these photos of me there. 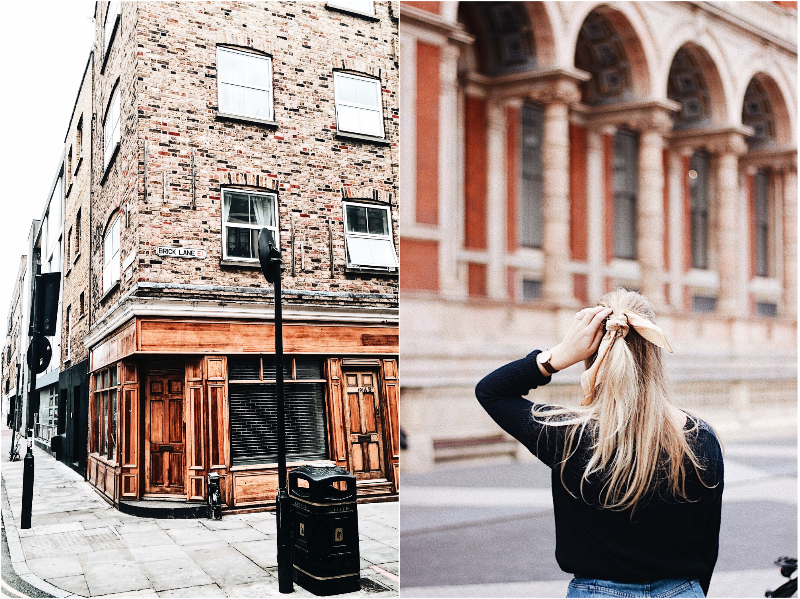 A little update or diary, in any chase a little bit about the things I've been up to lately. The title says a lot about the past few weeks. In such a short time a lot has changed. 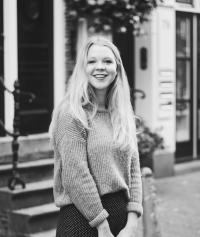 Finished my internship, started my specialisation (content design), moved to Nijmegen, got new things, picked up blogging... a lot. 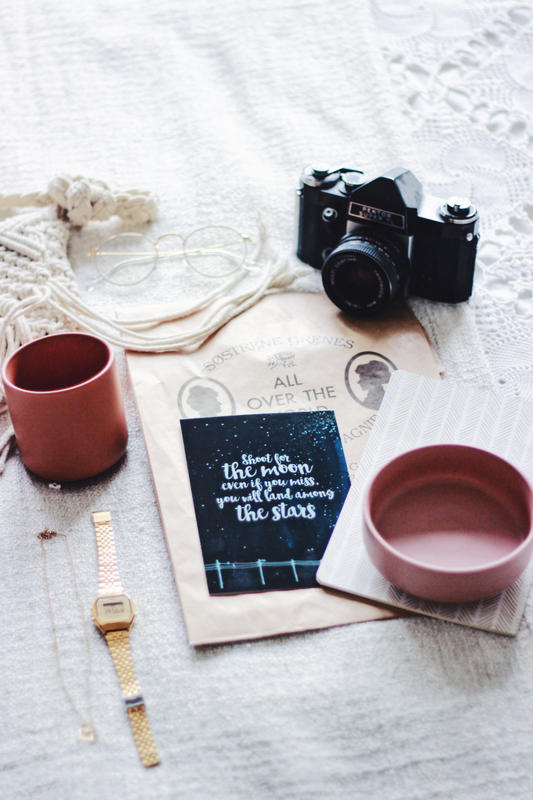 "Shoot for the moon, even is you miss you will land among the stars", love this postcard quote. Since my internship is over I got a lot motivation (and time) again to pick up blogging. Though I'm never that sure about what I precisly want to do, I do know that I love to save my photographs and thoughts on here. One thing I started from the beginning were these 'analog collages' filled with new or favourite items. Another new outfit post! The outfit may not be that new, but I still wanted to share this look, since this skirt has become one of my favourites. Just before the cold winter days started, somewhere around the end of Autumn Janne took these photos of me. I have a few new looks in my mind which I want to shoot as well but I thought: first this old post. Out with the old and in with the new. Two Sundays ago I moved my things from Utrecht to Nijmegen. Paul and I are now living together! 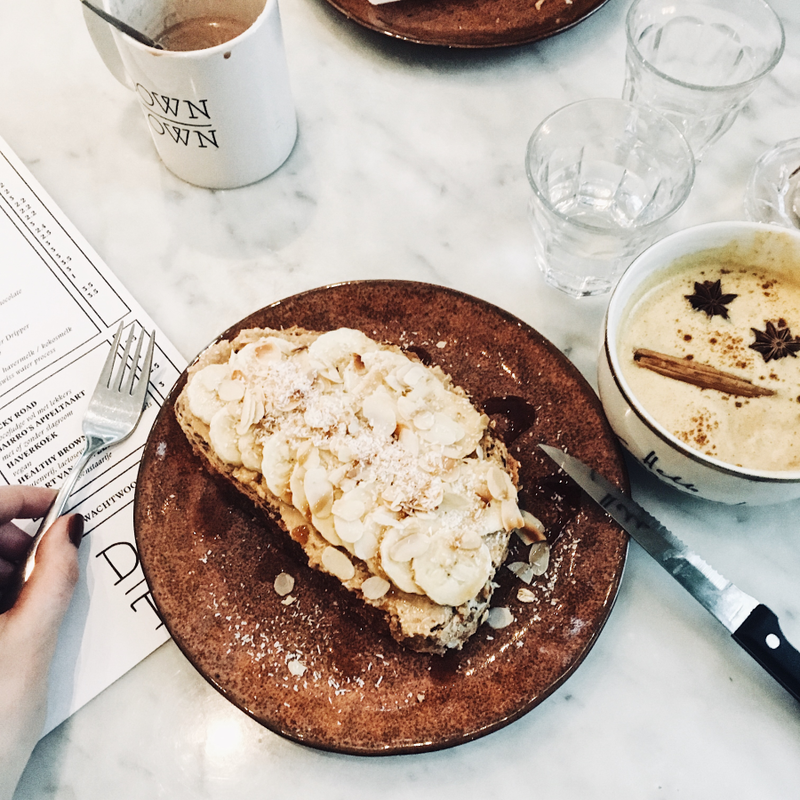 The new place is something we've known for a few months now, and it felt like now was the time to put it into a blog post. Since this blog is also, a sort of, my diary, and this is a big thing to remember. A little while ago I shot some outfit photos again with Paul. I stopped blogging for such a while ago. With my internship going on there was no time left for it, that combined with a little Winter/blog dip did no good for my blog. 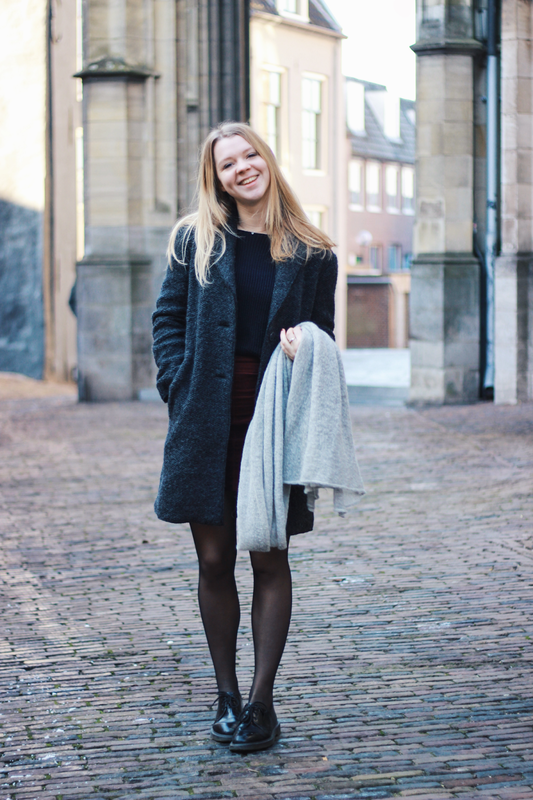 But now I found some time to post some new content again, starting with this outfit post. 2017. A brand new year. Brand new things that can and hopefully will come. I have some things planned out which I would love to do and set my mind to when I have more spare time. Though I'm very curious for brand new things and enthusiastic to start them, it doesn't seem like a new year yet.